Lydia loves writing in cursive, but still needs lots of practice. We were excited to get a chance to review New American Cursive 3 - Famous Quotes from Memoria Press. 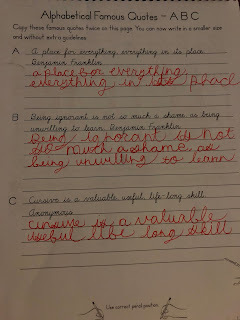 Why teach cursive writing? 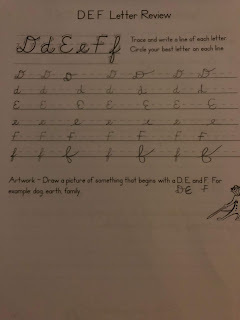 Even though all of our kids have learning difficulties due to their individual special needs, I still feel that cursive writing is important to learn. The boys are finally ready to learn also. Cursive writing can help students finish writing papers more quickly. It helps hand-eye coordination. It's important since most people write notes, lists, etc, in cursive writing! And our Nation's most important documents are in cursive. Until the last two months, the boys at least knew how to read cursive, even if they could not write it. I didn't want them growing up and thinking that people they were working with were writing in a foreign language! 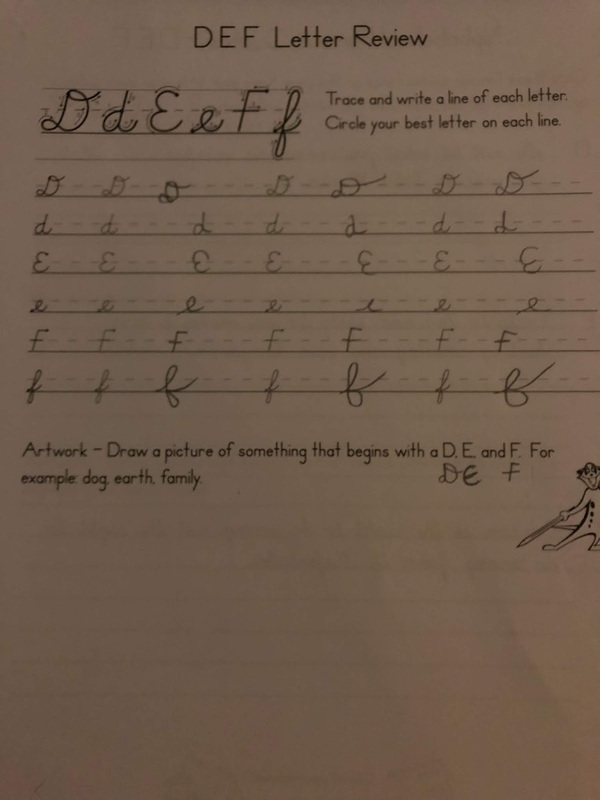 For some kids, learning cursive is easier than learning to write manuscript letters. Lydia was begging suddenly one day to learn to write cursive, she was already reading it. 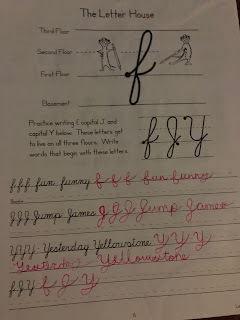 So we started Lydia's cursive handwriting studies using Memoria Press - New American Cursive Penmanship program - Workbook 1 last year. I noticed though that she still needed practice. But of all the cursive programs that she has used, Memoria Press - New American Cursive books seemed to work the best. She started picking up the correct strokes quickly. With her hand tremor, sometimes trying to get the correct strokes does not always happen. 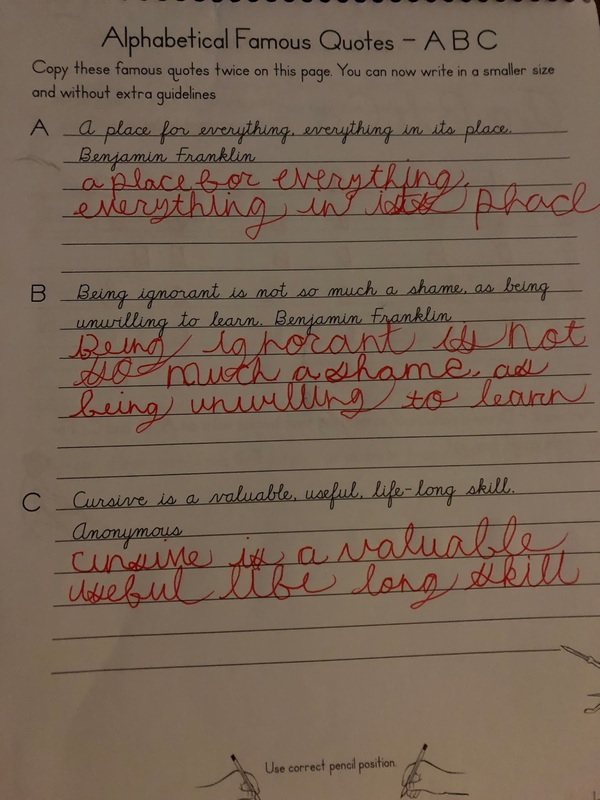 By using New American Cursive 3 - Famous Quotes she was able to continue in her learning and practice. One of the things I really like about the New American Cursive Cursive 3 series is the strokes, curves and slants are presented in an easy to understand format. There are lots of explanations and easy to understand examples. This in turn leads to practice and the formation of groups of letters. All of this review material is included, even though this is level 3 of the series. Each session though of writing, is literally just minutes worth of practice each day. Every page continues to build onto the previous writing lesson. So students continue moving forward in their learning, and mastery of cursive writing. Since she knows the strokes, the review pages, allow her to continue to work toward mastery. There are review sections mixed throughout the learning/review sections. 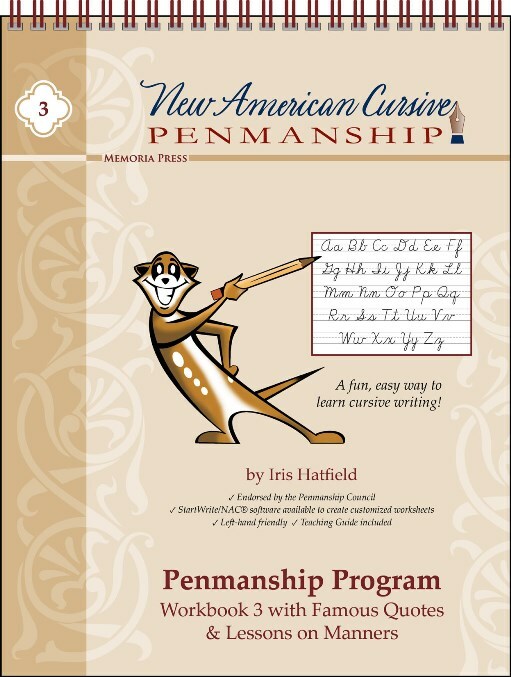 The theme of New American Cursive 3 is famous quotes and manners. Throughout the lessons are various famous quotes from known and unknown individuals. So as the kids are practicing their writing, they are really learning so many little historical things along the way. There are lots of simple exercises to help your child continue to improve their handwriting skills. Lydia does not complain about her writing practice while using New American Cursive 3 - Famous Quotes. She finds it fun to be actually writing full sentences and short paragraphs, instead of just working on drills. As you can see in the above picture, on some pages the sentences are written and cursive writing shown in the proper format. 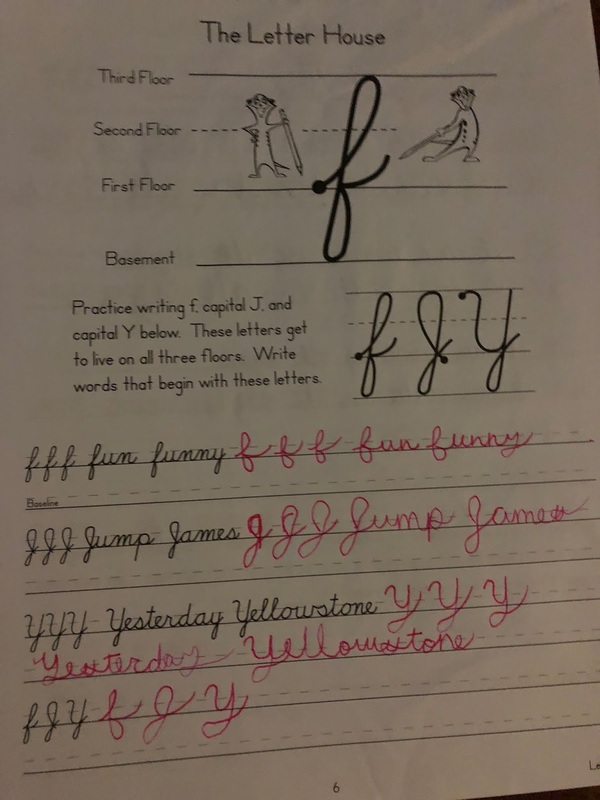 This has been great improvement for Lydia, as she copies the letters. As they improve and progress through the book, there are also pages where students will put into practice what they are learning by having dictation assignments. You will read to your student sentences that they will write on separate sheets of paper. This allows them to actually take all they have been learning and release from their brain, instead of just copying what they see. I have been very impressed with the New American Cursive 3 - Famous Quotes Penmanship program. Between the famous quotes and reminders about using good manners, Lydia is learning by copying sentences and paragraphs that are teaching her something and not just pointless nonsense. Several members of the Homeschool Review Crew were given the opportunity to review products from Memoria Press. They are one of our favorite curriculums to use. We love their science and grammar programs also. Click on the link below to see how other members of the Homeschool Review Crew used Memorial Press products in their homes, and what they felt about them.